Ever wonder just how far your dollar will go on Airbnb? This is Budget vs. Baller: A series that shows you the budget, mid-range, and baller rental options available presently in some of the world's trendiest cities. Today we're taking it to the The Eternal City. Does it get any more classically Italian than this? This apartment is free of mass-produced furnishings — perfect for the vintage lover. 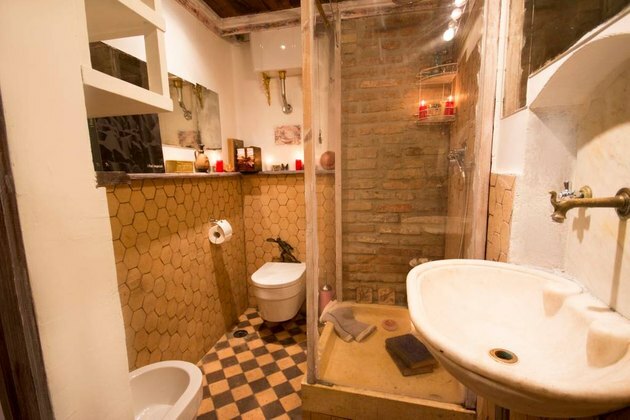 For example, the Carrara marble sink in the bathroom was previously a 17th century fountain. 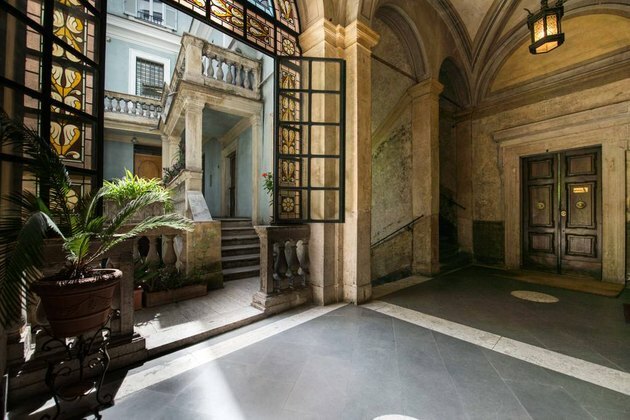 The rental has a veranda overlooking the building's courtyard and is walking distance to monuments. This space is steeped in history. 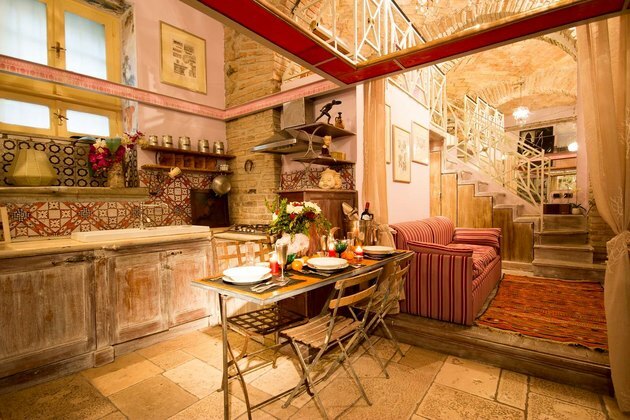 It's in a 16th century Patrician building with a balcony overlooking the courtyard. 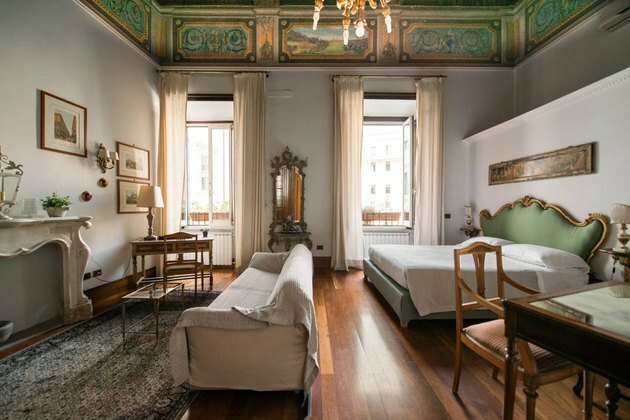 Look up to find frescoes and ceiling coffers and there will be no doubt in your mind that you're in Italy. It's ok, our jaws are on the floor, too. 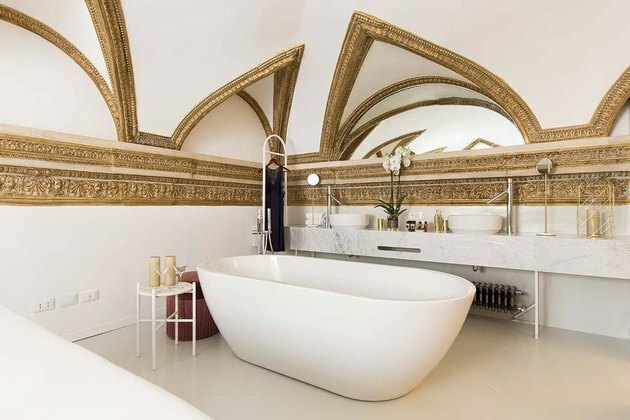 This apartment is like sleeping in a museum — in the best way. Every inch is covered in art. 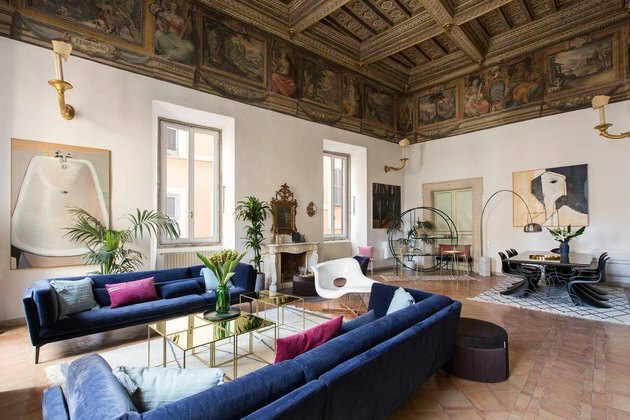 It can accommodate 14 guests and features a grand billiards room, a living room that overlooks a square, and an original ceiling fresco by Cavalier d'Arpino. Plus, a concierge will be at your service 24 hours a day.